But darker still, the human heart. Vampires, werewolves, witches, and ghouls. Listen to fairy tales, trembling as fools. So darkness deludes us; we’ve all played a part. But darkest of all is the human heart. Projections of fancy and causes of war. Exonerates him who’s the war-machine’s whore. But darker environs are in human hearts. And who is not guilty? Who stands apart? Yet darkest of devils is the human heart. Darker still, the human heart. I am one of those people who loves gothic, horror, deep and dark places and anything surrounding it. Always have been so this book spoke to me, I just loved the poetry and the way it made me feel. Sometimes it's hard to understand what they are talking about - but as a student of literature, that is exactly what poetry is supposed to do - confuse you, make you think and come to your own conclusion. It's always open to interpretation. One of my favorite quotes from this book is "the starry rose-petaled demon ran his fingers along my skin, slicing me open to the world. Red carnations fell from my veins". Now other people might see it differently, but to me that says that my inner demons got hold of me and they made me open up and all of the bad things inside me were falling out like blood - the red carnations were the blood. But others may think of something totally different. I am a very deep person, I am an empath and so for me that means that things get to me more than they would other people. So you have to read this book to find your own interpretation, but that was mine. 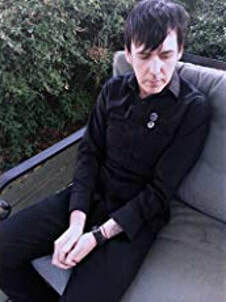 The book itself draws on all of the darkest pieces of existence, it quotes the greatest gothic authors ever, such as Dickinson, which is one that most people would think of as a canon poet, but not many people really know how gothic she could be. My second quote I loved from this was "The shadow of Life is Death; and Death evinces his jealousy of Life through the phenomenon of disease." So from the day we are born we are already dying, some disease will take us, even if it's just a natural death like old age. And Death is always waiting for us, watching us, jealous that we are able to live longer than maybe Death wants us to. So Death in turn gives us diseases to get us sooner than we should be dying. Make sense? Maybe not, but I think if you read this you will start to get it and you will reach your own conclusions about the book and how it can relate to your own life. I know that each of us has a dark part to our life, sometimes facing that darkness is cleansing for our souls. Over and above all of that, the book is a great read - it's short, and it does have some wonderful poetry quotations, it reminded me somewhat of Poe's works. Everything has a deeper meaning, and that deeper meaning is different for everyone. Check this book out, it's wonderfully gothic!!! --And that, elegantly, is the poem's entirety. Poe wrote "Deep in Earth" in 1847 while mourning the death of his young wife, Virginia Clemm. He scribbled the couplet in the margins of a manuscript for "Eulalie," which may have been one of Virginia's favorites of her newly widowed husband's works. Poe always insisted that poets should write with an eye to what he called "unity of effect"-- that is, that every poetic effort ought ultimately to leave a distinct and singular impression--a uniquely powerful effect--on the reader. Toward this end Poe felt that, despite what classicists might say, or despite what readers might think, longer poems were not necessarily more accomplished, more literary, or the most successful in their designs. Bigger was not always better. "Unity of effect" was usually achieved with fewer lines, with lines honed and sharpened to cut right to the reader's jugular. But the emotional gut-punch of Poe's "Deep in Earth" might have less to do with the application of any high-minded literary theories than with the raw emotion that is evident behind its words. Yet the stark lines are a validation of Poe's "unity of effect" ideal nonetheless. Before I get to one of my own attempts at achieving such an effect in my new collection of verse, Thirteen Nocturnes, I'd like to offer another poem that I think achieves a forceful effect similar to that of Poe's "Deep in Earth" above. Eighteen years after this poem was published Sara Teasdale took an overdose of sleeping pills and ended her own life. An urban legend persists that Teasdale wrote "I Shall Not Care" as her suicide note. Teasdale and Poe had issues with chronic major depression, something I and a great many other poets have also struggled with. There are a variety of influences that went into the composition of my book, Thirteen Nocturnes, and I hesitate even now to say that my struggles with depression have been an "influence" in the same way that, say, the poetry of Baudelaire or Giacomo Leopardi have been influences on me. But my own bouts of depression have added much of the color to my verse, or have provided the impetus for it, and have informed its tone, in some individual poems more than others. 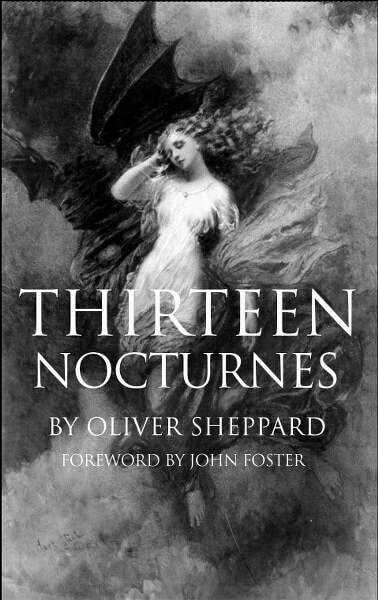 The original idea behind Thirteen Nocturnes was to write a slim chapbook of thirteen poems that were either meditations upon, or were odes to, or had in some way been inspired by, the night. The project snowballed and I confined the original thirteen poems to one section of a five section collection of poetry, but I decided to keep "Thirteen Nocturnes" as the title for the overall work. The darkness severe and unbending. But I was a fool to believe it.